Over the past few weeks, we’ve examined Estonian oil shale company, Eesti Energia, known as Enefit in the U.S., to find out the real story on Estonian oil shale and how it could affect the American West. The outlook is grim. Even though Eesti Energia is widely considered the world’s leading oil shale firm and is the largest company in the world working with oil shale, it is in a financially vulnerable position. The company has made a number of poor investments, including a new bloc for an Estonian oil shale plant – an investment the Estonian State Audit Office found to be legally questionable and “not economically feasible.” Less than a year after breaking ground on the plant, Eesti Energia abandoned the project. Things have gotten so bad for Eesti Energia that credit benchmark Moody’s has downgraded the company’s credit rating (now rated negative) twice in the past 15 months. Even Eesti Energia’s CEO admits that oil shale is not profitable without government subsidies. The reason is simple: oil shale fails the basic economic test. In other words, the return on oil shale doesn’t outweigh the investment. Over here in the United States, we found Enefit has run into trouble trying to commercially develop oil shale. Despite the company’s claims that extracting Utah oil shale is a “simple mining project,” Enefit has experienced significant problems. Tests show that Enefit hasn’t been able extract oil from the oil shale ore mined in Utah as easily as executives had hoped and promised, and that it requires more energy to process Utah oil shale than expected, which results in higher carbon dioxide emissions. An internal company document called the Utah test results “not promising.” And, despite all the “around the corner” rhetoric we hear from oil shale supporters, at least one Estonian expert thinks that a method for viably extracting Utah oil shale is decades away. Given this web of problems, it shouldn’t be surprising that company officials can’t seem to keep their stories straight. What is said in the U.S. often doesn’t match up to what is said in Estonia. Oil shale – a rock that actually contains no oil – has a 100-year track record of failure in the U.S. despite the billions in taxpayer dollars that have been risked on failed oil shale experiments. The facts from our Eyes on Enefit series argue for taking a cautious, balanced approach to oil shale. Companies like Enefit should not be given more federal land or money for oil shale experiments until they can prove that they are able to develop oil from oil shale in a commercially and environmentally sound way. This blog is a summation of our series about Enefit, known at home in Estonia as Eesti Energia, covering the company’s financial outlook, background and status of its Utah project. For over a century, conflicting claims have surrounded the rock called oil shale. Estonian oil shale company Eesti Energia, and its U.S. arm, Enefit, are no exception to this rule. Whether it’s company executives, other oil executives or financial experts, we’ve seen numerous inconsistencies about Enefit’s financial health, technological capability, impact on the environment, and its Utah project. – Sandor Liive CEO, Eesti Energia. BBC Monitoring Europe, Text of report by private Estonian newspaper Postimees. November 30, 2012. The company’s technology “does not need to be proven,” says [Enefit] Chairman Harri Mikk, who points out that Enefit has successfully operated an oil shale plant in Estonia for decades. – Utah Business. August 1, 2011. +Note Mikk has since resigned from Enefit’s Board Chair “According to [Sandor] Liive, [oil] shale has so far been produced in Estonia by employing the trial and error method. The old Eesti Energia production plant is a proof of that – over the years, the solutions used there have been almost completely changed. – BBC Monitoring Europe, via Postimees. May 4, 2010. – Eesti Energia internal document obtained by Eesti Ekspress. Estonian Public Broadcasting. January 24, 2013. – Rikki Hrenko, CEO of Enefit America Oil. Transcript of API/Colorado School of Mines Briefing. June 19, 2012. The Salt Lake Tribune recently reported that Enefit is experiencing difficulties applying its technology to Utah oil shale deposits, and specifically that the company hasn’t been able extract oil from the oil shale ore mined in Utah as easily as executives had hoped and promised. – Utah oil shale becomes political punching bag in Estonia. Salt Lake Tribune. January 25, 2013. Ingo Valgma, director of the Department of Mining at the Tallinn University of Technology in Estonia, said that he believes oil production from Utah shale is not a matter of five to six years, as Enefit predicts, but more a question of decades. Eesti Energia’s spokesperson says that the applied development technology needs enhancing. Eesti Energia has invested EUR 33.3mn [$43.1 million] in the Utah project since 2011, including EUR 29.6mn [$38.6 million] in the acquisition of the Utah-based oil shale exploration and development company. Eesti Energia is projecting an additional EUR 37mn [$48.2 million] investment in the Utah shale oil project by 2016. – Esmerk. January 18, 2013. – Sandor Liive, CEO, Eesti Energia. Interview Eesti Paevaleht website via BBC Monitoring Europe. July 4, 2011. – Sandor Liive, CEO, Eesti Energia. Interview, Eesti Paevaleht website via BBC Monitoring Europe. July 4, 2011. – Moody’s changes outlook on Eesti Energia’s Baa1/P-2 ratings to negative. January 8, 2013. Not even Enefit’s executives can agree whether or not oil shale is ready for prime time in the U.S. Oil shale companies like Enefit must prove they viable commercial technology that won’t harm our water or communities before they get any more public land. This blog is part of a series about Enefit, known at home in Estonia as Eesti Energia, covering the company’s financial outlook, background and status of its Utah project. Here are a few examples of Eesti Energia’s questionable investment strategies and what opinion leaders and financial experts inside and outside of Estonia had to say about them. Eesti Energia abandoned the second phase of the plant – a 400 million euro investment [$522 million U.S. dollars*] less than one year after the cornerstone laying ceremony. Eesti Energia’s failed investments aren’t limited to oil shale. The company also considered investment in Lithuanian nuclear power plant, despite credit rating agencies’ reservations. Standard & Poor’s Rating Services said that [sic] has revised the outlook on…Eesti Energia AS to negative from stable to reflect the risk that the company’s credit quality will weaken due to possible participation in a prospective nuclear power plant in Lithuania. The Moody’s rating agency says in a comment concerning the new nuclear power plant concession bill supported by the government in Lithuania, that proceeding with the plan would jeopardize the power utilities Eesti Energia’s and Latvenergo’s credit ratings. Eesti Energia’s home government isn’t alone in expressing doubt over the company’s investments. Other governments have shown wariness toward Eesti Energia as well. Lithuania backed out of a privatization deal with Eesti Energia because of the company’s debt burden of one billion litas ($379 million U.S. dollars**). One more argument against selling RST, a profitable and stable company, to Eesti Energia is the Estonian company’s debt burden of almost a billion litas, which limits its investment possibilities. If a history of failed investment sounds familiar to Eastern Utah and Western Colorado residents, it should. Oil shale development in the region has had a similar track record of failure. Given this shared history, it makes sense for oil shale companies like Enefit to prove they have developed a technically and commercially feasible way to produce oil shale before they are given more access to public lands and resources. Contaminated groundwater, 600-foot high piles of oil shale waste that spontaneously ignite, and the emission of “lots of carbon dioxide”; all of this comes from a company that claims to be “highly dedicated to lessening the environmental impact of our production processes.” A look at the facts reveals that, despite its claims, Estonian oil shale company Eesti Energia’s operations have been anything but environmentally friendly. For several decades Eesti Energia, an Estonian government-owned corporation, has been extracting oil shale, and using it to generate Estonian electricity at a stunning environmental cost. In the United States, Eesti Energia is known as Enefit. In 2011, Enefit bought the largest privately held oil shale reserve in Utah, and since then it has been experimenting with oil shale found on that land. Since Eesti Energia has brought its oil shale technology to our shores through Enefit’s Utah project, we think a quick review of the company’s environmental record is in order. That way, Utahns can see what could be in store for them. Scientists at Tartu University and the Institute of Ecology even wrote a paper in which they explain how Estonian oil shale’s waste is hazardous. – “Artificial Mountains in North-East Estonia: Monumental Dumps of Ash and Semi-Coke.” Tartu University and the Department of North-East Estonia. 2005. In fact, these waste products are so unstable, they have been known to spontaneously combust and contaminate groundwater and soil. As of 2005, 27 percent of oil shale landfills in Estonia had self-ignited. – “Life Cycle Analysis of the Estonian Oil Shale Industry.” Estonian Fund for Nature and Tallinn University of Technology. 2005. 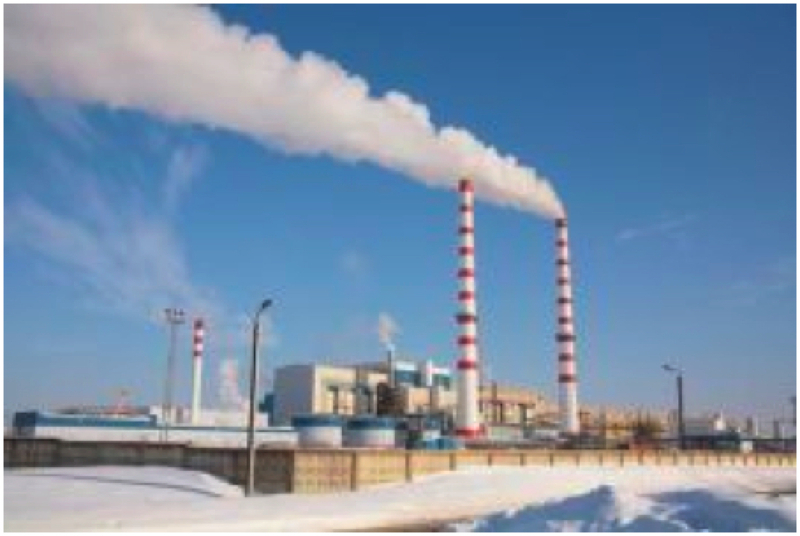 In addition to water and ground pollution, Eesti Energia’s CEO, Sandor Liive admitted producing energy from oil shale creates significant global warming pollution, or “lots of carbon dioxide,” as he puts it. – Sandor Liive, CEO Eesti Energia. Interview with Eesti Paevaleht. BBC Monitoring Europe. 04 July 2011. – Anton Dammer, Senior Vice President of Red Leaf [Resources]. CQ Transcript, House Committee on Science, Space and Technology, Subcommittee on Energy and Environment. 10 May 2012. Eesti Energia’s environmental track record shows its claims of environmental friendliness ring hollow. Oil shale production’s health and environmental risks present a clear case against allowing oil shale companies increased access to public lands. Until they can prove they have a commercially viable technology that won’t pollute our communities’ air and water supplies with harmful waste, they shouldn’t receive more handouts. This blog is part of a series about Enefit, and Eesti Energia, covering the company’s financial outlook, background and status of its Utah project. Yet, that hasn’t stopped industry executives and supporters, like ECCOS, from promoting oil shale as being on the verge of economic viability. So it was surprising to read an interview (pdf) with the CEO of Eesti Energia (parent company to Enefit) which is regarded as the world leader in oil shale, admit that oil shale isn’t profitable. FYI, 200 million euros is the equivalent of approximately $264 million. You can read previous installment of Checks and Balances Project’s Eyes on Enefit series here. Despite posturing by Enefit’s corporate officers, internal documents and tests show that the company’s attempts to extract and process oil shale in Utah have run into trouble. But Eesti Energia’s CEO, recent test results, and internal documents tell a very different story. In late 2012, Estonian newspaper Postimees reported that the company had experienced delays and setbacks with its new Enefit 280 technology. According to the Postimees, the delay puts on hold the company’s plans for similar facilities in the United States and Jordan. Enefit’s new oil shale technology had only been tested in a lab until recently when, after technical delays, the Enefit 280 plant began producing oil from oil shale in December of 2012. Back here in the United States, the Salt Lake Tribune reports that Enefit is experiencing difficulties applying its technology to Utah oil shale deposits, and specifically that the company hasn’t been able extract oil from the oil shale ore mined in Utah as easily as executives had hoped and promised. Tests have proven Utah’s oil shale to be “stronger and drier” than Estonian oil shale. Enefit’s Utah project has proven to be “unexpectedly difficult to do,” and that tests indicate that Utah oil shale requires more energy to break down than expected, resulting in higher carbon dioxide emissions. What Enefit called, “a simple mining project” has experienced significant delays and requires additional funds. Eesti Energia now projects Enefit’s Utah project will need an additional 37 million Euro in investment. And, Estonian mining experts say oil production from Utah oil shale is still decades away. The financial and environmental risk posed by this still unproven technology demands that companies like Enefit fully prove the viability of their technologies before they are given access to more public land for oil shale extraction. Read the first installment of Checks and Balances Project’s Eyes on Enefit series. This blog is the first in a series about Enefit, and Eesti Energia, covering the company’s financial outlook, background and status of its Utah project. Last month, the benchmark credit agency Moody’s downgraded the bond rating of the world’s largest oil shale company Eesti Energia, to negative. The downgrade is the second in just over a year by Moody’s. For several decades, Eesti Energia, an Estonian government owned corporation has been extracting oil shale and primarily using it to power Estonia’s electricity needs. Eesti Energia is Estonia’s largest employer and considered a world leader in processing oil shale using a proprietary retorting technology. Put bluntly, the credit agency isn’t confident Eesti Energia can make oil shale profitable. This is the same problem that’s defined oil shale for over a century. In December 2011, Moody’s dropped Eesti Energia’s investment grade from to Baa1, from A3 – an action that designated the company a “moderate credit risk”, and placed it at the bottom half of Moody’s investment rating scale. The downgrade reflects Eesti Energia’s weakening financial profile in the context of an increase in higher risk activities undertaken by the company following the partial opening of the Estonian electricity market. Enefit, a subsidiary of Eesti Energia, operates in the U.S. and owns the largest privately held oil shale deposit in Utah, where it has been working to extract and process oil shale. Earlier this year, we blogged about how Estonian government investors were starting to express serious concerns at the prospect of losing $100 million from their government’s heavy investment in Enefit’s Utah project. These serious doubts of oil shale’s viability demonstrate that a responsible approach to oil shale is one that requires oil shale companies, like Enefit, to demonstrate they can safely and responsibly extract energy from oil shale before their industry is given access to more public land. And, from the perspective of the financial markets, Enefit and oil shale have a long way to go.